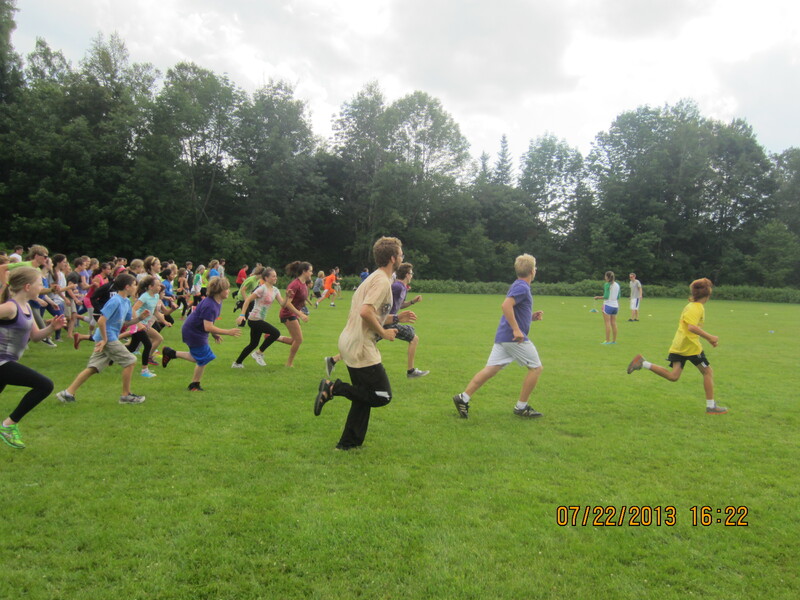 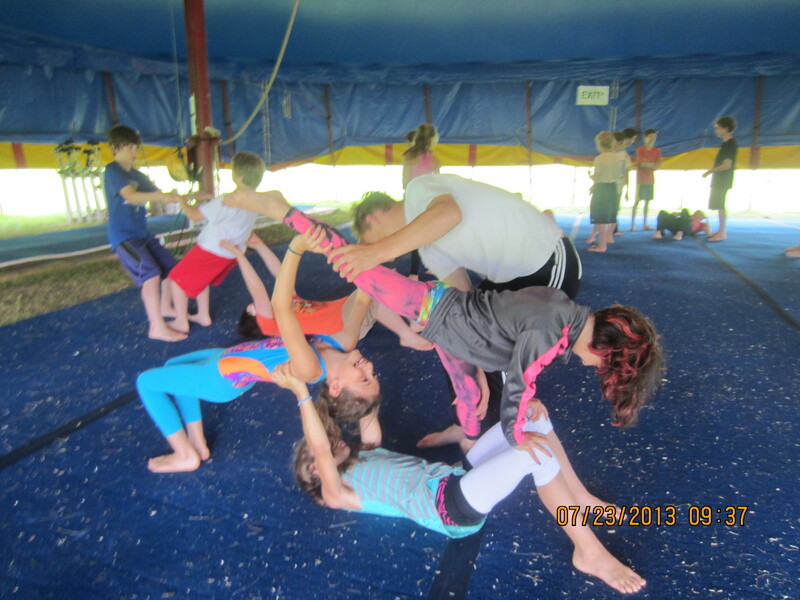 Morning run, Monday July 22, 2013, Circus Smirkus Camp Session IV. 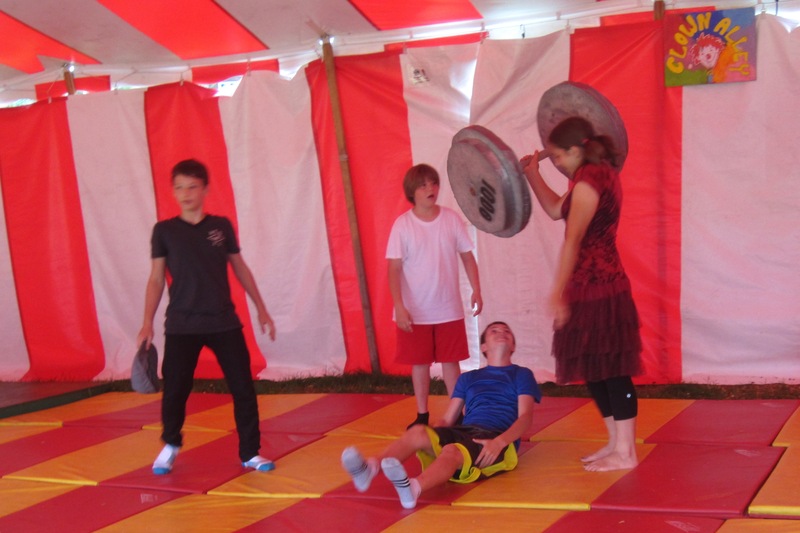 Girl power wins the day in a clown alley skit during Circus Smirkus camp Session IV 2013. 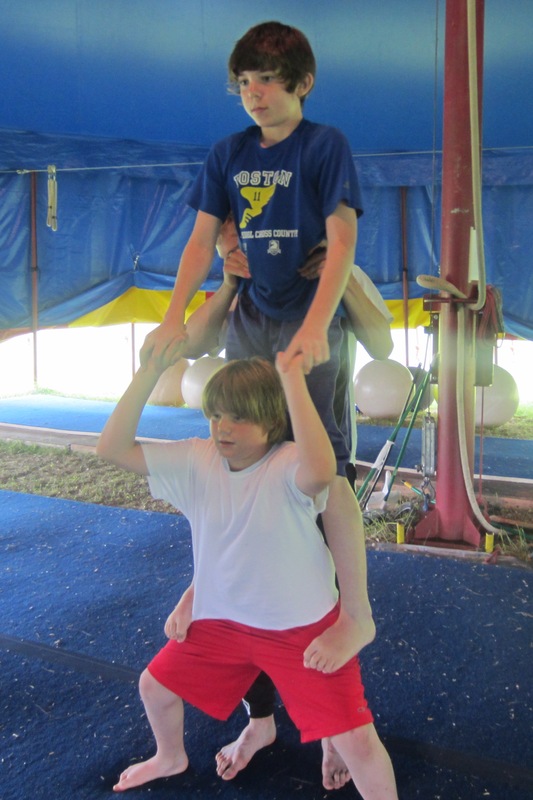 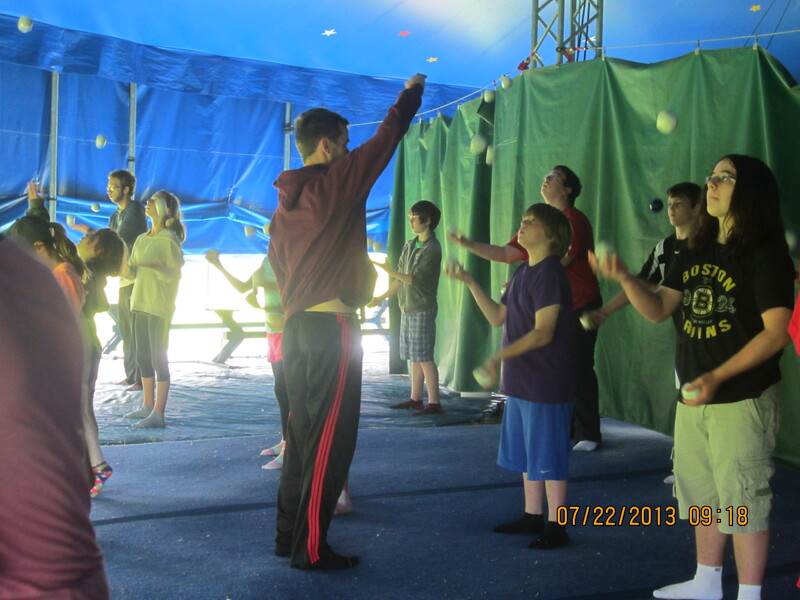 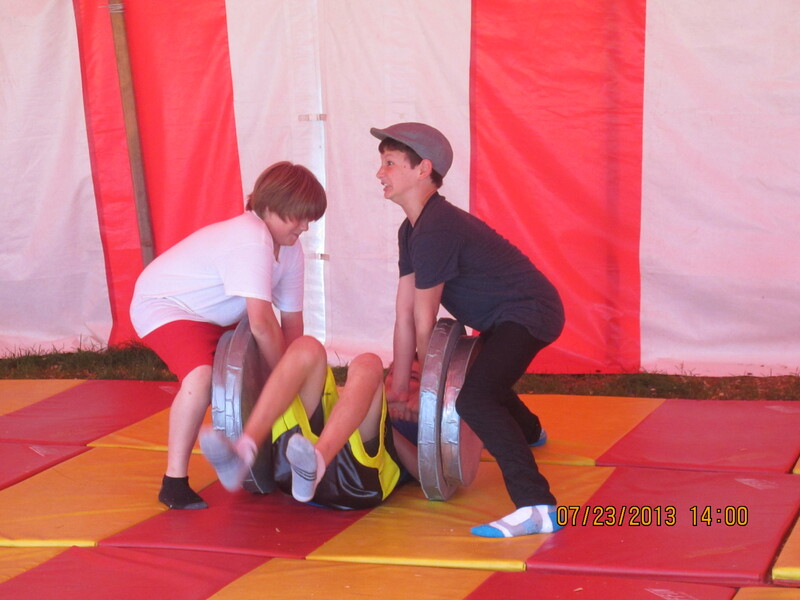 Kameron is learning to be the base on a pyramid during acro class at Circus Smirkus Session IV 2013. 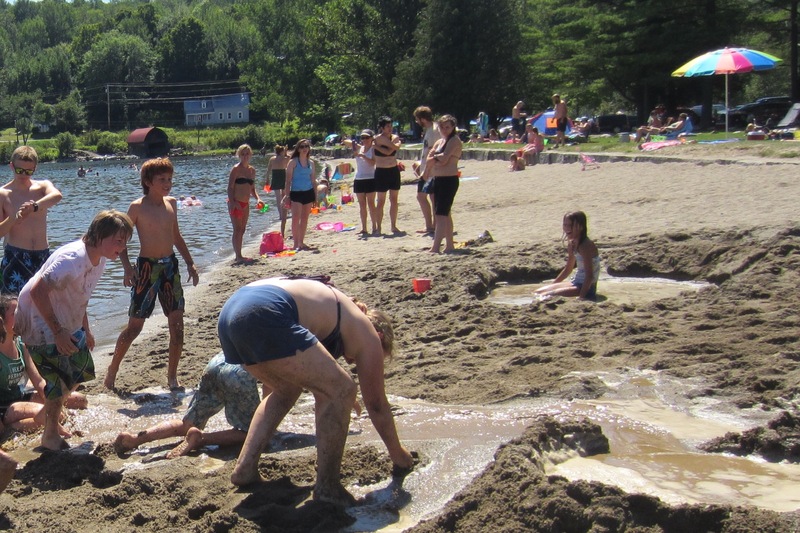 Beach Day (Sunday July 28) for Session IV Circus Smirkus campers included lots of mud and dike building. 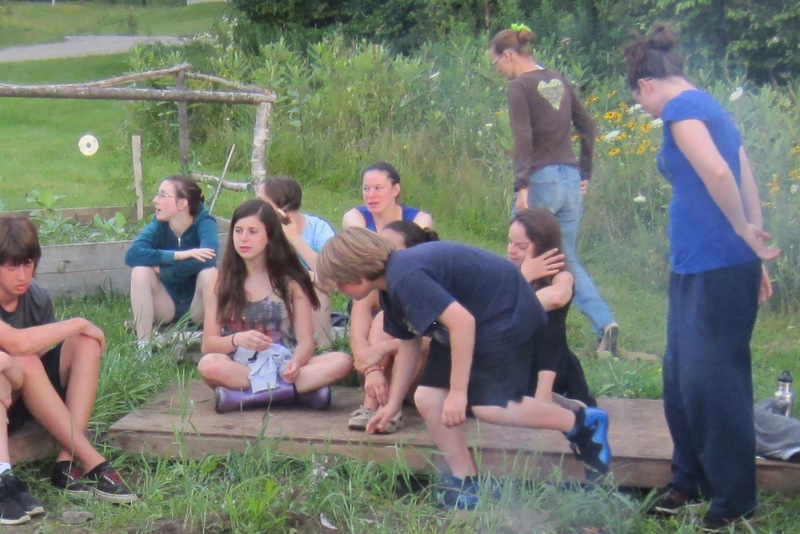 I have no idea what Kameron and some others are looking for here, but it’s an interesting photo, taken by a campfire on Friday afternoon.